When it was launched in 2007, the 308 Mk1 was praised for its comfort, refinement, frugal engines and much-improved interior quality over the outgoing 307. Few small family hatchbacks offered the same sort of value as the 308, and as a used buy you get even more for your money. The 308 is safe too, with a five-star Euro NCAP crash test rating. Rear seat space isn’t great though and the 308 isn’t polished dynamically, but with decent fuel economy available from the diesel engines and very low purchase prices, the 308 can be just the job for a budget-conscious family. 9/07: The 308 replaces Peugeot’s 307 in five-door hatch form in September; a three-door option arrives three months later. There are 95bhp 1.4 and 120 or 150bhp 1.6-litre petrol engines; diesels are 90/110bhp 1.6 or 136bhp 2.0 HDi units. 6/08: The seven-seater 308SW arrives, along with the fleet-focused 308 SR which comes with standard navigation and bluetooth. 4/09: The 308CC coupé-cabrio appears. 5/11: A facelifted 308 brings a revised nose and tail design, extra standard equipment and reduced CO2 emissions, including a 98g/km e-HDi model which arrives a few months later. 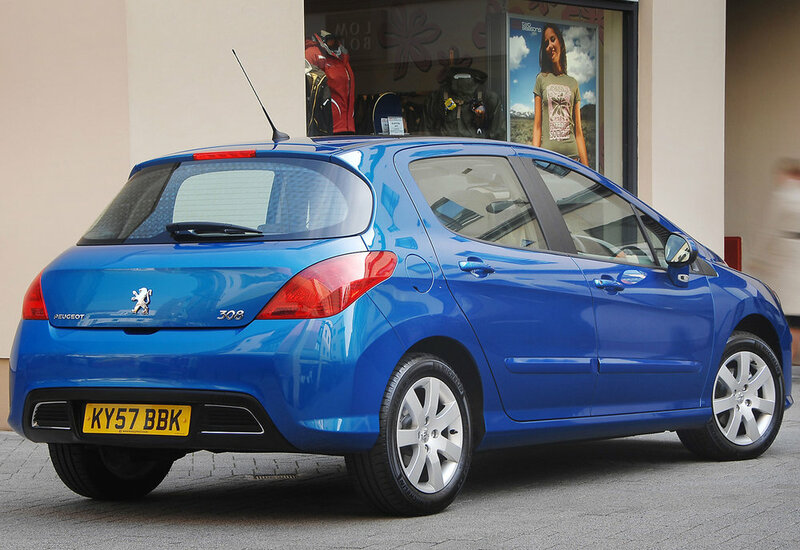 From January 2010 ESP became standard on all 308s, apart from entry-level Urban editions. If you don’t do many miles, cars with a diesel particulate filter are likely to give costly problems. The electrics can be erratic, with the engine cutting out and the column stalks packing in. Starting can also be a problem, so check everything works. The instrumentation can be troublesome, with trip computers and service indicators failing. The odometer can also over-read; the cure is a software update. The interior trim is sometimes weak, with squeaks and rattles common. Seats can also split, while carpets have been known to come adrift. Look for evidence of water leaking in through the windscreen seals, which can prove ineffective. Also check for cracks in the windscreen.